How to Pack Glass Articles? 1. If the glass is wrapped with proper care it reduces the chances of breaking. When you are packaging a glass material it should be covered by paper. Do not wrap the glass object directly by bubble wrap as it would leave a permanent mark on the object. Wrap the glassware with a tissue paper or newspaper and secure it with tape. 2. Once the glass is wrapped in paper then put three layers of bubble wrap over the paper and stick it with the tape. The main reason behind using bubble wrap is; the plastic used for bubble wrap is bit thick and the bubbles act as cushion for glass. Bubble wrap and tape guns are easily available at Storage solutions in Abu Dhabi. 3. 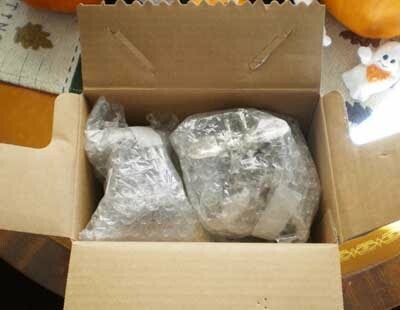 The glass objects should be kept in strong and sturdy box. Insert cardboard between every glass item so that during the time of transport they don’t break. Before putting glass items in the box fill the surface with peanuts and also add peanuts in the empty spaces once the glass items are fixed in. At storage solutions in Abu Dhabi you can buy boxes of different shape as per your necessity. 4. Do not forget to the label the box as “Fragile”, which would indicate that the box should be handled carefully during the time of transportation. Storage solutions in Abu Dhabi is one place where you will easily get all the packaging material of a good quality. Storage facility in Abu Dhabi also provides you with house removal facility in Abu Dhabi where they help you in dismantling, packing and shifting.